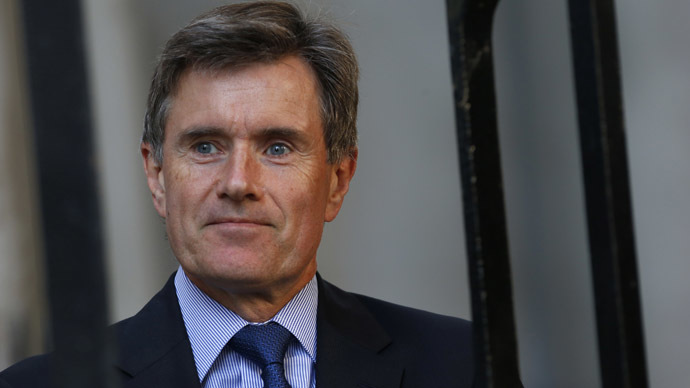 In his first interview since stepping down as MI6 chief, Sir John Sawers made the controversial statement to the BBC. He said UK security services refrain from engaging in torture because it breaches British values. But he argued torture can be effective in the short term. Sawers’ remarks were condemned by director of human rights group Liberty Shami Chakrabarti. “The one thing I could never have predicted is in 2015 we would be having to talk about torture in the UK,” she told the Independent. Britain’s security services have also come under fire from UK human rights group Cage. The human rights organization warns MI5 and MI6’s use of torture directly contributed to the radicalization of Michael Adebolajo and Mohammed Emwazi. Emwazi was identified yesterday as the true identity of Jihadi John, an Islamic State (IS, formerly ISIS) militant thought to be responsible for slaughtering hostages in Syria, while Adebolajo was convicted of murdering British soldier Lee Rigby in 2013. Sawers’ remarks come as new details of a foiled Al-Qaeda terror plot targeting British and American citizens surface. According to an exclusive Independent report, the attack was intercepted in 2010 by a dramatic “real time operation” spanning continents. Al-Qaeda had conspired to attack two separate airliners as they travelled over the eastern United States. UK authorities uncovered a bomb disguised in a printer cartridge on a UPS cargo plane at East Midlands Airport, following a tip-off by Saudi Arabian officials. The tip-off prompted a frantic search operation, with security officials battling against the clock to detect the device. UK officials subsequently disarmed the bomb at an airport cargo hub. A second similar device was also uncovered on board a freight plane in Dubai. Both planes reportedly originated in Yemen. “Of course we use intelligence from torture. We take it from wherever we can get it, but we are never ever going to say ‘we don’t want that,’” he said. The source told the Independent that intelligence officials rarely ask too many questions about where tip-offs come from. That is the “difference between intelligence and evidence,” he said. Earlier this month, it was revealed a suspected terrorist is arrested every day in Britain in connection with Islamic extremism. Metropolitan Assistant Commissioner Mark Rowley said the growing threat from returning fighters who have joined the IS means that extremists are being detained on a near daily basis, with attacks from “misfits and criminals” feared.